Smooth sailing ahead for your next event. Whether you’re planning a concert or a carnival, the New Orleans Flyer is a great way to start cutting through the water. 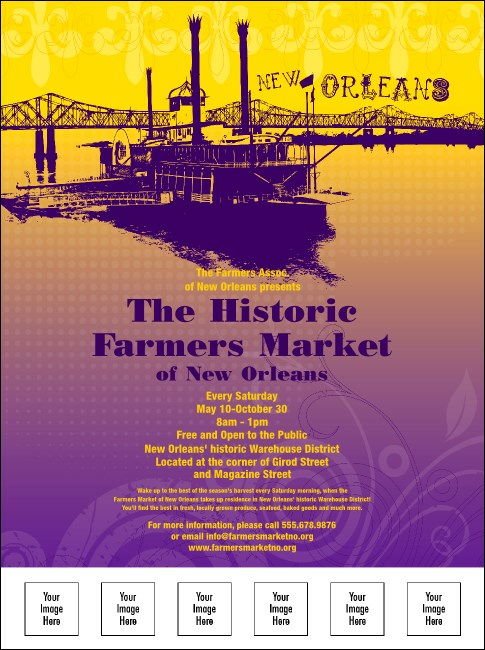 Printed in full color with the image of a riverboat approachingthe Crescent City, the Flyer has space for six custom image uploads. Come marching in to terrific ticket sales! Check out a full range of designs at TicketPrinting.com.